WHISK together the PHILLY, sugar, milk and vanilla until smooth. ROUGHLY break or tear lamingtons into chunks. 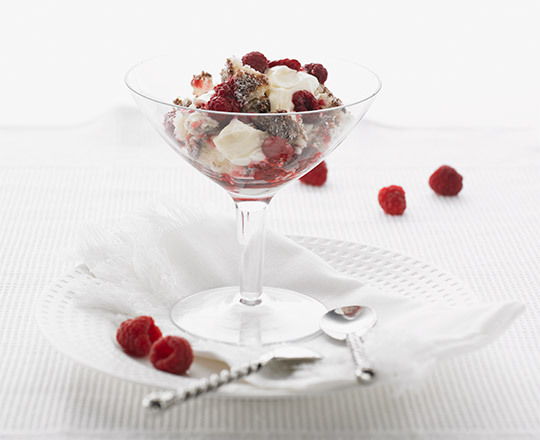 USING a fork, break down raspberries in a large bowl to release their juice, still retaining some of their shape. Add lamingtons and PHILLY and using a folding action, fold through twice only. SPOON mixture into 6 serving glasses and refrigerate until chilled. DUST with icing sugar if desired and serve immediately.